A certain young lady that I admire, from Instagram and Reddit respectively, has a flair for manicures featuring hand placed glitter. It is madness and beauty and a little bit of witchcraft. I want to learn this skill. I want to master it. But first, baby steps with whatever random glitter I have laying about. I used one of my favorite Radiant Orchid lite shades: Lincoln Square Lavender from NYC. It's a fabulous muted orchid shade in a fast-dry formula. 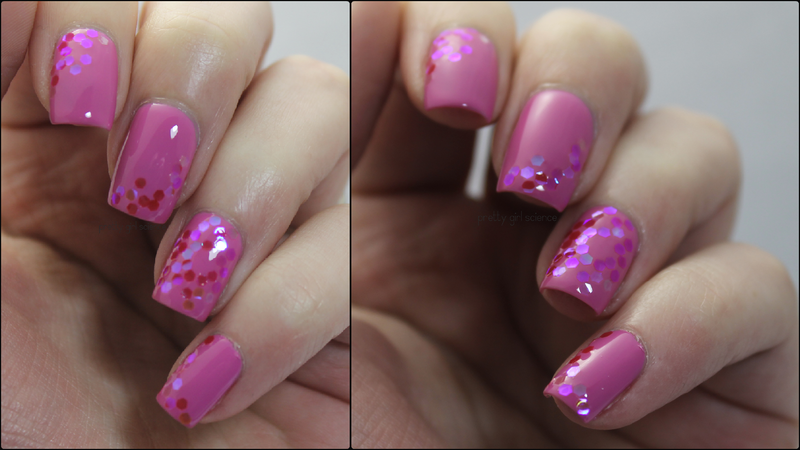 I only needed two coats for this, and they were amazingly smooth. I think there has only been one polish from NYC that I didn't love and adore. I can't wait to get my hands on the summer line. A dear friend sent me this glitter. It was originally purchased to make nail polish, but apparently it bleeds like a stuck pig. That makes me sad, because this stuff is amazingly beautiful in person. I want to use it for some other endeavors as well...as soon as I vacuum up the stuff I spilled. And of course, I added a matte coat...NYC again. For $2, this is an amazing top coat. If you don't own it already, I don't even know what you're doing with your life. I need that NYC polish. 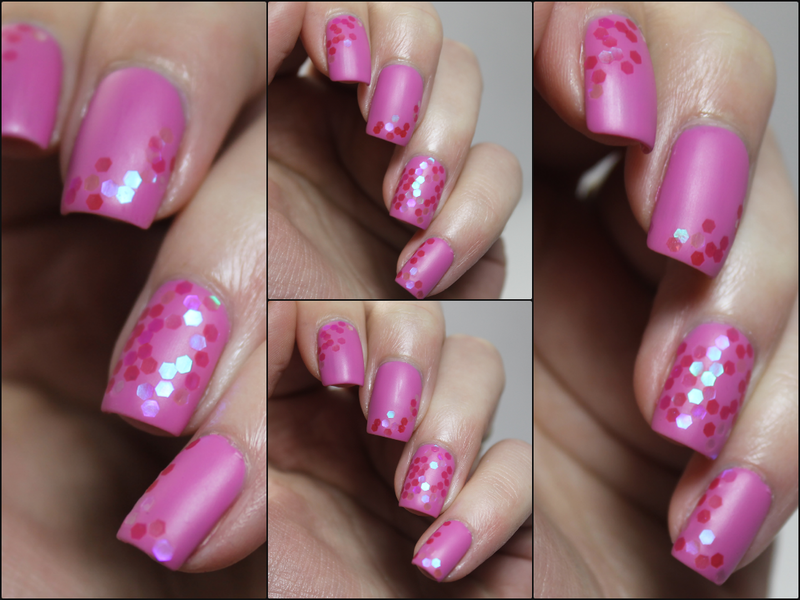 Lovely mani! It's very pretty, although I would die from impatience.